As most sports cars go, the importance of power and performance is put at a premium above a lot of things. That’s a big reason why BBR, like its previous aftermarket takes for the MX-5, focused its attention on the sports car’s 2.0-liter four-cylinder engine. If there’s anything that counts for exterior upgrades with this program, it’s the graphic decals on the car’s hood and body with the BBR Turbo written on it. Other than that, the physical aspect of the Miata remains as stock as stock can be. This shouldn’t come as a surprise considering BBM’s past programs follow the same mold. The good news here is that even without any contributions on the end of BBR, Mazda itself has some exterior options and accessories that are available, not to mention trim options like the range-topping Sport-NAV trim that adds a slew of equipment to the model. 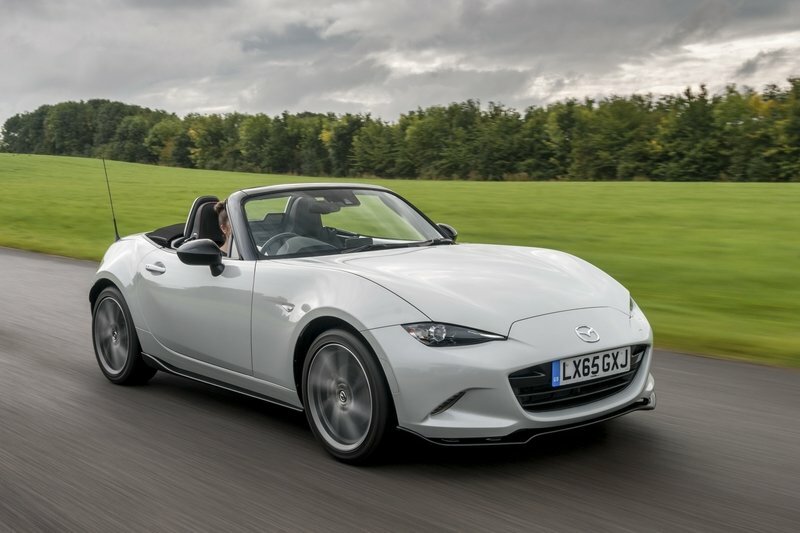 The Automaker also has a number of special edition MX-5s like the Sport Recaro Edition and the Arctic Edition that come with their own aesthetic and aerodynamic upgrades. 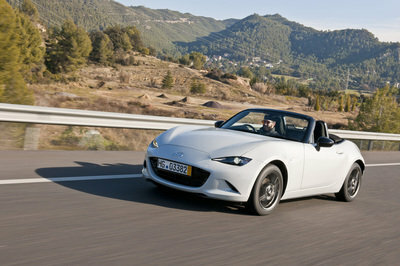 For instance, the MX-5 Recaro Sport Edition comes with a Sports Aero Kit that includes slightly larger side skirts, a modified rear diffuser, and a spoiler atop the trunk lid, piano black-painted mirror caps, and a set of 17-inch Diamond Cut alloy wheels with engraved "MX-5" logos. Meanwhile, the MX-5 Arctic Edition is bolstered by a choice of three different color options - Razor Blue Metallic, Titanium Grey, and Sunlight Silver - and a handful of exclusive appointments, including a color-matched blue soft top, blue leather seats, blue door trim, chrome scuff plates, side window garnish, and a black leather trimmed steering wheel, gearknob, and handbrake lever. Since these models carry the same standard drivetrain, there is that option of getting these models and installing BBR’s engine upgrade program in them. It’s a good option to take, especially if you’re the type who wants your MX-5 to look and perform much better than its standard form. Just as it is with the exterior, the MX-5’s interior doesn’t come with any meaningful upgrades from BBR. 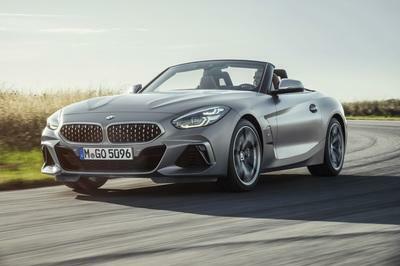 No surprises here since the roadster does have limited cabin space and any sort of upgrade to it would be minimal at best. That said, there are opportunities here to work with, and even if BBR isn’t the tuner to offer any of it, there are other avenues that customers can go to to get their aftermarket fix for the MX-5’s interior. Mazda has proven that it’s fully capable of bringing some flavor to the MX-5’s cabin and we see that on full display in the special edition versions of the roadster that the automaker has offered in the past. 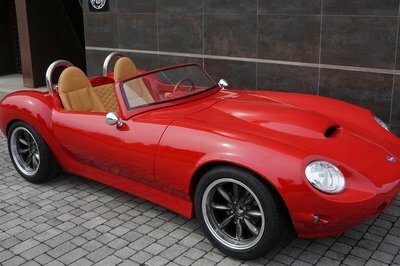 Take the MX-5 Sport Recaro Limited Edition for example. 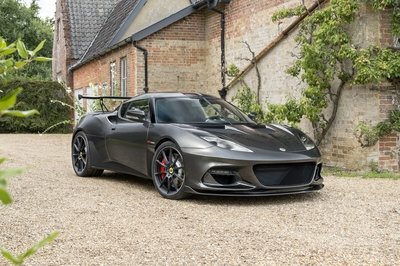 That came with a cabin that had an Alcantara-wrapped lower dashboard with contrast red stitching on the dash, door panels, handbrake, and fear lever. It also featured a leather steering wheel, Alcantara cushions and seat backs with leather on the sides, as well as red piping and stitching, and as the name of the special edition obviously implies, Recaro sports seats. Sport Recaro’s interior are obviously the bolstered Recaro seats. 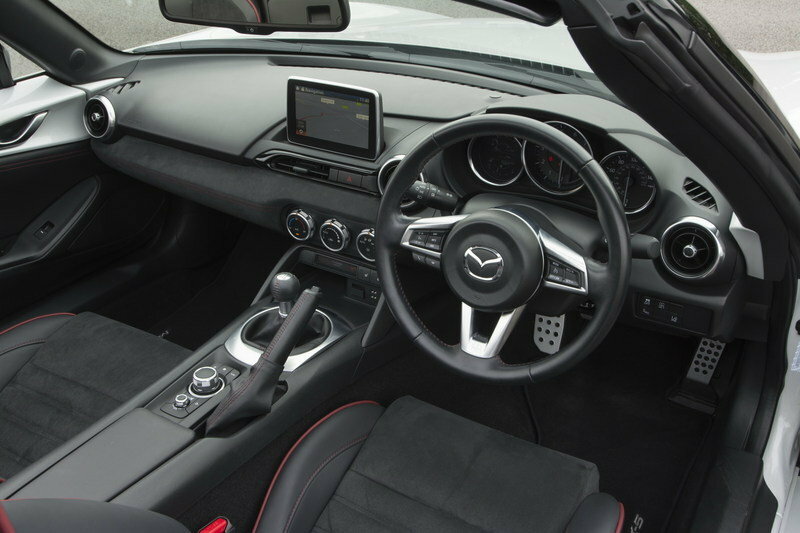 note: interior photo of the Mazda MX-5 Recaro Sport Limited Edition. If you’ve made it this far, chances are you’re still very much interested in what BBR has to offer. 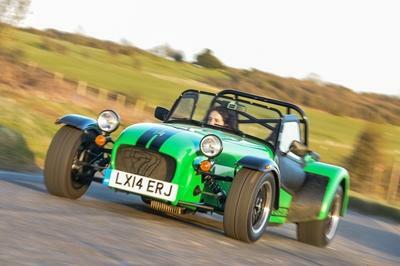 It’s good to know then that the tuner has made the wait worth it with its new Stage 1 upgrade for the roadster. The short version of this upgrade is that the tuner developed an extensive lineup of upgraded components that brings the car’s output to 248 horsepower and 236 pound-feet of torque. The long version of this upgrade paints a detailed look at this new components, which include, among other things, a bespoke twin scroll hybrid TSX30-71R turbocharger with jet turbine specifications, a stainless steel downpipe, a cast iron twin scroll exhaust manifold, custom silicone turbines, and a high-flow, lightweight, front-mounted aluminium intercooler with factory look black intake pipes. The use of the twin scroll turbocharger, in particular, comes after BBR performed extensive dyno and road testing to determine the optimal solution to achieve the desired power gains without compromising the engine’s own capabilities. According to BBR’s Neil McKay, superchargers were quickly ruled out because it works against the efficient characteristics of Mazda’s Skyactiv-G engine. Likewise, single scroll turbos were also discarded as an option, leaving the twin-scrolls as the ideal choice since it syncs well to the layout of the Skyactiv-G engine. Ultimately, BBR got the desired results with the output from the aforementioned engine increasing to 248 ponies at 7,150 rpm and 236 pound-feet of torque at 3,250 rpm. Those power figures translate to improved performance times, including a 0-to-60-mph time of just 5.0 seconds (almost two seconds quicker than the standard model) and an electronically limited top speed of 155 mph. To be clear, most of the upgrades that will be mentioned here come from BBR. The tuner, after all, is all about the MX-5 so you can all imagine how extensive its knowledge is of the Japanese roadster. 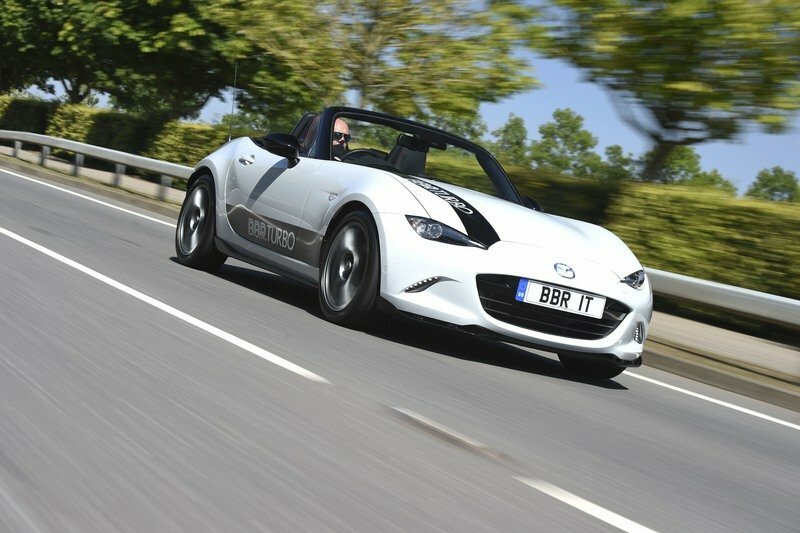 Since the current generation of the MX-5 was unveiled in 2015, BBR has presented a handful of engine upgrades for it, beginning with the Super 160, Super 175, and Super 190. The numbers in those names represent the horsepower output they achieve with the Super 190 getting 188 horsepower and 172 pound-feet of twist out of the MX-5’s four-banger. From there, BBM upped the ante with the Super 200 and Super 200+ upgrades. These modifications pushed the sports car’s output in the vicinity of 200 horsepower, or 214 horsepower and 183 pound-feet of torque to be exact in the case of the Super 200+ program. BBR achieved these numbers by developing a hardware/software upgrade program that included a billet steel intake and exhaust camshafts with improved valve springs and retainers, a specially developed cold air intake system, a 2.5-inch diameter high performance TIG welded stainless steel exhaust, and the tuner’s very own StarChip ECU package that features improvements on the engine’s fuel, ignition, and cam timing calibration. By now, you’ve probably noticed that BBR’s programs increase as new programs are developed. With this new “Stage 1” kit for the MX-5 taking center stage, it should only be a matter of time before a better upgrade is announced. To give you an idea on how BBR’s programs for the Mazda MX-5 have evolved, check out the table below. 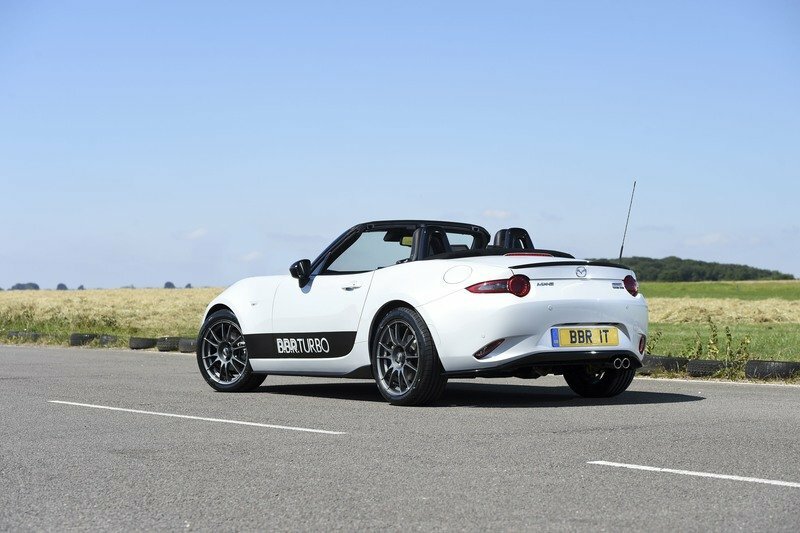 Pricing for BBM’s new Stage 1 turbo program for the Mazda MX-5 starts at £4,995, which converts to just under $6,400. This program includes ‘drive in, drive out’ installation at BBR’s Brackley facility by its qualified technicians and dyno power graph. The tuner is also offering a do-it-yourself program, which includes every hardware and software upgrade at £4,395, or about $5,600 based on current exchange rates. The versatility of the Mazda MX-5 lends itself to being a good choice among aftermarket tuners. But there are some that aren’t just content with the sports car carrying a four-cylinder engine. One of those is Flyin’ Miata, which developed its own aftermarket program for the roadster that involves taking out the four-banger and cramming in a Chevrolet LS3 V-8 engine. 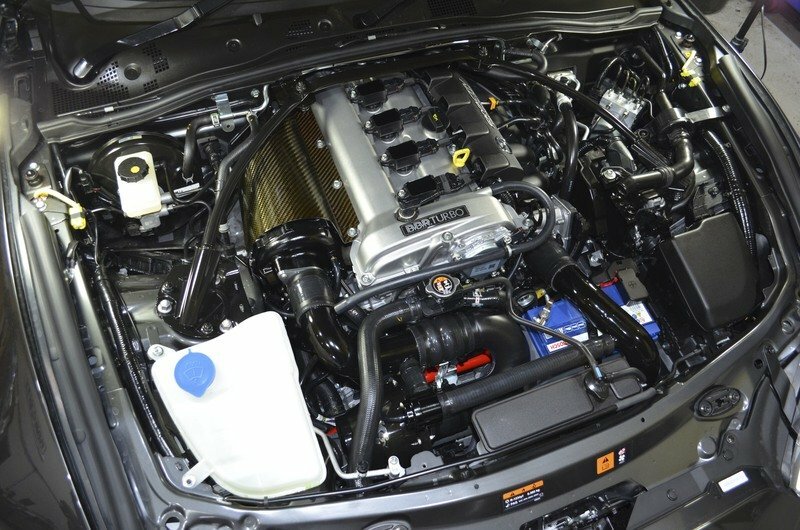 A lot of work was put into fitting the much bigger V-8 into the MX-5’s engine bay, but the results are no less mind-boggling, at least as far as V-8-powered MX-5’s are concerned. Total output has been pegged at 525 horsepower, although that number could still evolve depending on how much progress Flyin’ Miata has achieved since its program was revealed late in 2016. 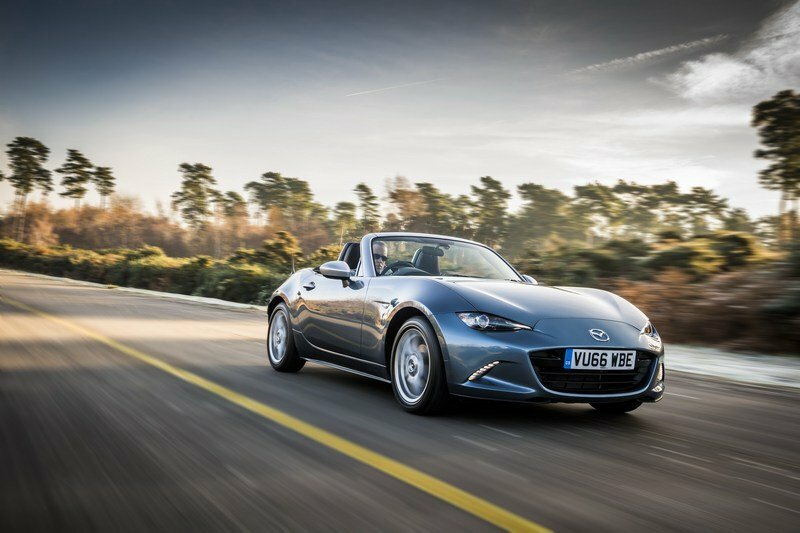 Considering what we already know about the Mazda MX-5 and it’s incredible drivability, increasing its power to north of 200 horsepower is a good sign that there’s still potential for the roadster that’s just waiting to be unlocked. BBR did a good job here giving us a kit that will allow us to enjoy the car more, but there’s a certain part of it that makes us wonder if the tuner has better upgrades in the oven that haven’t been released yet. On that note, I’d want to see them first before getting this upgrade. Who knows, given the tuner’s pedigree, we might be in store for bigger and better kits down the road. For now, though, this is as good as BBR has in its inventory, and it’s a pretty good one at that.